Spleen - Hyperplasia, Lymphocyte in a male B6C3F1/N mouse from a chronic study. 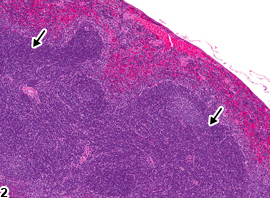 The splenic white pulp is expanded by increased numbers of normal lymphocytes (arrows). 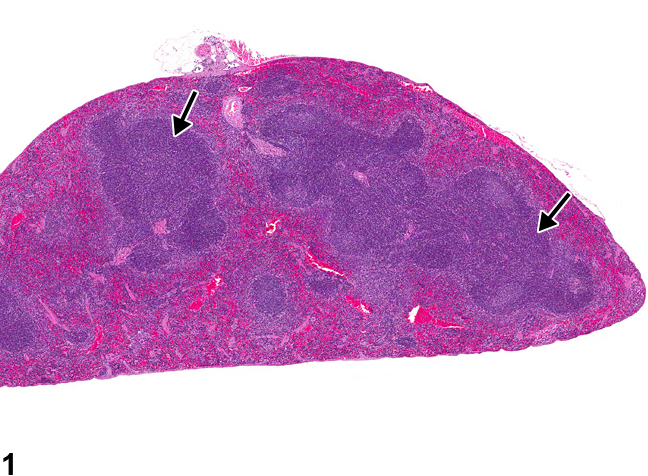 Spleen - Hyperplasia, Lymphocyte in a male B6C3F1/N mouse from a chronic study (higher magnification of Figure 1). 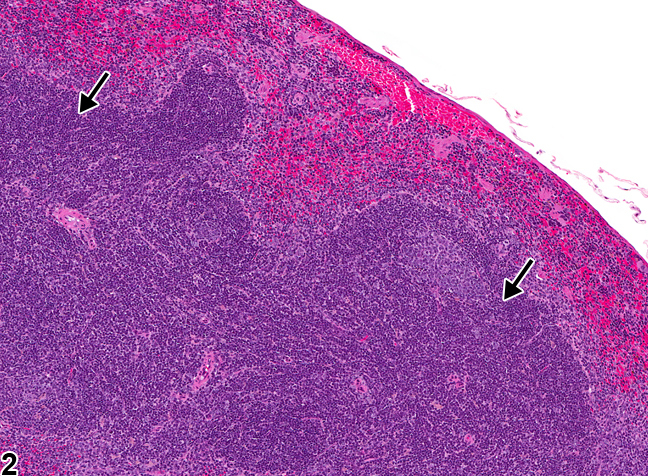 Lymphocyte hyperplasia is present in the periarteriolar lymphoid sheaths (arrows).